Differentiated Common Core task cards to meet the needs of different reading abilities in your classroom. 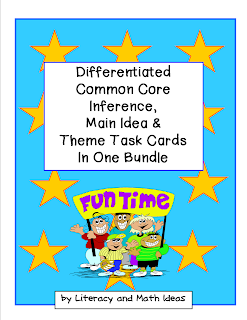 Cover the same Common Core standard at the same time with this differentiated Common Core bundle. Level A is for students in the first to second grade reading range. Level B is for students reading at the third to fifth grade level range. 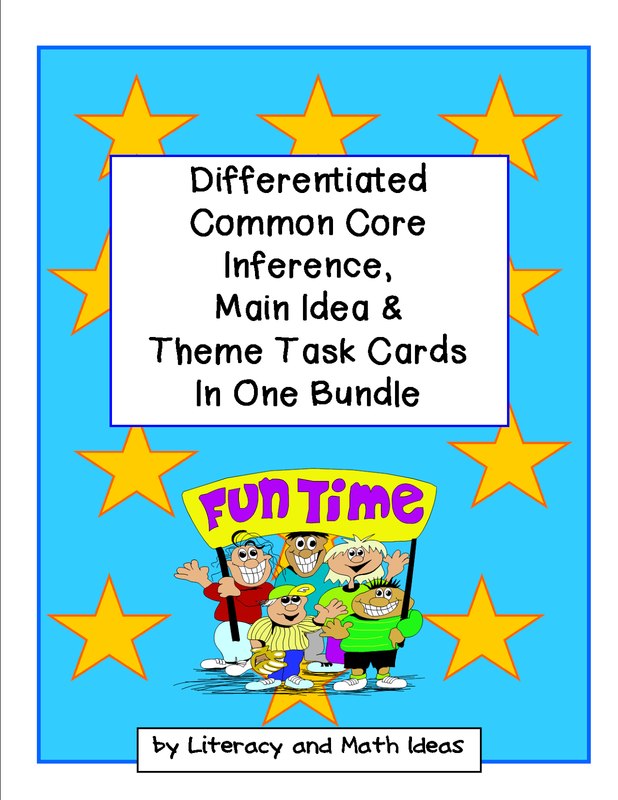 Teach Common Core inference, theme, and main idea with these convenient task cards. Use theme for small group instruction or as literacy centers. $10 for the complete bundle.